We are pleased to let everyone know about the latest Thomas FX breakaway glass product . . . . breakaway glass mirror. We have been working at developing this product for years and have finally "cracked" the secret . . . Sorry about that bad pun, but I just couldn't resist. 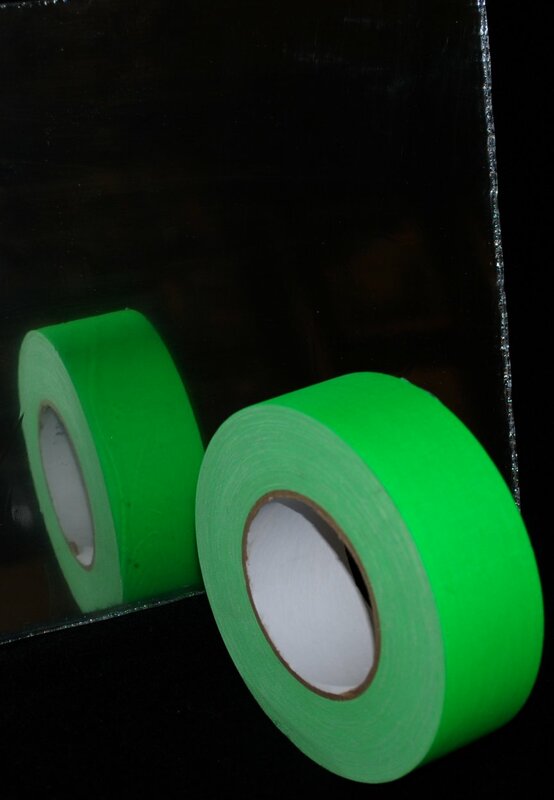 To the left you can see a roll of digital green tape reflected against a test sample of our new mirror glass. Can you tell which is the real tape and which is the reflection? Breakaway glass mirror, also known as breakaway mirror glass or just mirror glass, while more expensive than our normal breakaway glass products, can be made in any thickness, shape or size, as per our established breakaway glass product offerings. Contact Betty for pricing and ordering details, or call her directly at 604.929.5455.